The Bristol Hospital Center for Orthopedic and Spine Health is now offering, non-invasive treatment for musculoskeletal pain. This new shockwave therapy technology utilizes pressure waves and is specifically known as Extracorporeal Pulse Activation Technology (EPAT). This is a very effective treatment in which pressure waves stimulate metabolism, enhance blood circulation and accelerate the healing process. These pressure waves help regenerate and heal damaged tissue. The benefits of a therapy like this are often experienced after three treatments. Each treatment takes about five or 10 minutes depending on the pain disorder that we are treating. I have had patients report immediate pain relief after the treatment although it usually takes up to four weeks for the pain relief to actually begin. As part of this treatment, I apply a coupling gel to the specific treatment area and then the waves are released via the EPAT device and applicator which I move over the treatment area in a circular motion. This treatment takes place in the office and is more effective than many traditional methods including surgery which can include complications and a lengthy recovery time. It’s been my experience that patients can immediately bear weight and return to normal activity right after the procedure. Taking time off is not necessary. There is no downtime for recovery from these treatments. Insurance typically does not cover shockwave therapy. However, there can be significant savings when compared to paying deductibles, multiple co-pays and other non-insurance covered surgery and rehabilitation. But this non-invasive option will help those who are eager to return to work or normal activities in only a few days. For more information on this procedure and the associated costs, please call the Bristol Hospital Center for Orthopedic and Spine Health, 860-585-3333. 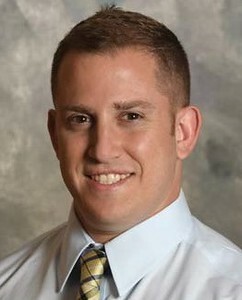 Podiatrist Peter A. Bellezza, DPM, MS, is a member of the medical staff of the Bristol Hospital Multi-Specialty Group and Bristol Hospital’s Center for Orthopedic and Spine Health. Dr. Bellezza has a special interest in general podiatry, foot and ankle reconstruction, total ankle replacement, and sports medicine. He is accepting new patients and is located conveniently at offices in Bristol, New Britain, and Southington. To schedule an appointment, please call 860.585.3333 or visit bristolhospital.org. Posted in New Britain Herald, General News on Monday, 27 August 2018 22:07. Updated: Monday, 27 August 2018 22:10.